"At the Last Supper, on the night before He was betrayed, our Savior instituted the Eucharistic sacrifice of His Body and Blood." 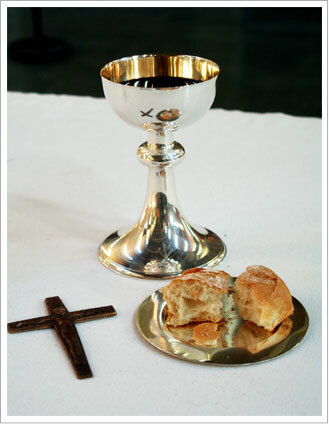 The Eucharist is the "Source and Summit of our Christian faith". "In the Blessed Eucharist is contained the whole spiritual good of the church; namely, Christ Himself, our Pasch." For preparation for the first reception of this Sacrament, please contact the individuals noted below. Carmen Cayon at the Faith Formation Office at 813-264-3337 for elementary school age children or teens, and for sacramental information for adults contact Maria Costa at 813-961-3023 in the Parish Office.